Germanna Community College employees were asked to tell stories of heroism they witnessed during and after the Aug. 23 earthquake. Chris Anderson - immediately after the earthquake many students who were feeling so frightened and uncertain were impressed and reassured by his presence and purposeful leadership. Many thought he was "the president" or "the dean" because of the way he turned the chaos into calm and the way everyone gravitated towards him and looked to him for decisions and direction. He was truly impressive and inspiring. Garland Fenwick and Chris Cooper helped evacuate buildings at LGC, kept personnel calm, re-entered the Slaughter Building to help assure structural stability for students to return and gather personal belongings, and helped communicate with FAC regarding their status. Garland contacted Clark Nexsen via use of an analog line since VOIP and cell phones were not yet working to secure their services for a structural review of all facilities. Later, Garland and Chris walked through every building at FAC, LGC, and Culpeper with personnel from Clark Nexsen to assess structural damage. They returned home around 1:30 am. IT staff for the continious efforts in moving to get people in place in a short turn around meeting the deadlines. B&G staff in working with the logisitcs for Power, Furniture and other moves of equipment. Security for the coordination of the site visits putting safety first. 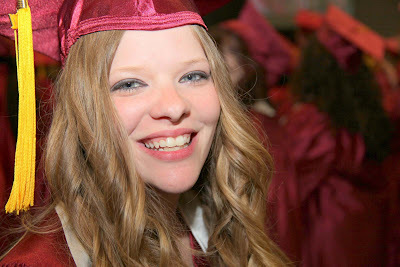 This list really includes all Germanna as we all worked to make the logistics happen. This is hard, as there were so many. Chris Anderson who took command at the moment of the Quake; Carol Baetz to took on the task of directing traffic; Mark Haines who entered the building and helped carry out a disabled student; Whoever it was who thought to pull the fire alarm; Garland Fenwick for getting a structural engineer to inspect the building that evening so we got the news as early as possible. Since I am new to the faculty, there are many names I don't know. The emails updating the situation certainly helped, especially since I had not met with my class before the quake. Cathy Ryschon helped keep order at the Fredericksburg Campus during and after the quake. She also showed compassion for the folks that were emotionally impacted by the events of that day. Security guard Cathy put everyone else's safety before hers! Daniel Buhrman walked around the parking lot unitl he got a signal on his phone so that I could call a family member. He then offered to drive anyone home if they needed it without even questioning where we lived. Stephanie Wilkins, Testing Services Fredericksburg Campus. I was taking a placement test when the earthquake hit. There was another lady in the testing center who got on the floor. Stephanie stood calmly informed everyone in the room that it was an earthquake. She then directed me and six other students to exit the room and go to the front door and exit the building. The entire time she was calm while her co-worker left the room before any of us students. She truly mantain great composer doing this dangerous ordeal. Ann Alizio - got everyone out of and away from the building. Carol Batez - got everyone out of and away from the building. Whoever pulled the fire alarm at the Dickinson building to get people moving out. Deans Brock and Fiege for arranging rides for people who didnt' have their car keys. She successfully calmed an agitated student (who was angrily screaming at her), showing good judgment and poise throughout the situation. The response to the earthquake overall was handled adequately; however, there were departments that were put on the back burner. GED had to cancel testing in September because adequate space was not located in a timely manner. Moreover, at this time no office space has been identified for them. They have only been able to establish tentative test dates at this point. Middle College to date is still not in operation and no space has been identified to relocate it. No attempt for temporary space at the campus for classes was made. I think a greater, more urgent effort could be made to find a location for this service to the community could have been made rather than putting Middle College on the back burner. This sends a message to Middle College students that the college does not value them as much as the general Germanna populations. I find this unacceptable. Everyone has pulled together nicely making whatever changes that are needed. Even the students have pulled together to make this work. Sincere thanks to the ACC/Testing Ctr folks who gave the Student Services Depts time in the computer lab to assist students!! Once again, B & G has been wonderful. Garland Fenwick even gave up very expensive plane tickets and a long planned vacation so he could stay and help. IT was also very helpful in getting all the computers, etc. moved. Aubrey Collier, Jesus Sorto, James Haynes, Forrest Donald, Chris Cooper, Ron Williams assisted in securing the facility, cleaning the facility, relocating faculty and staff personal items. Setting up new classrooms, workstations, offices. Chris Cooper. Isolated the FAC 1 utilities so FAC 2 could still have operable utilities. Tina Parker, Aubrey Collier, James Haynes. Video tapped and took still photos of every room in the FAC 1 building so the college could have a record of the event. Tom Stanley, Jeff Yowell and Ralph White respectively got LGC and DTC cleaned up and items that were misplaced back in order so the facilities could reopen. When I look at again all who helped from Dr. Sam, Dr. Wesley, Dr. Woolford, Mr. Brehm their leadership set the tone again from is everyone okay to when are we going to get back on track.....this defined the way we all experienced the event one with courage, fortitude and determination to restore normalcy.......Great work to all the displaced folks, for they had to redefine themselves by not where they were located but by what they had to offer......so cool....Many processes that work on the "back burner in planning were jetted to the forefront out of necessity not a bad recoup....at all. Much learned and much we have yet to learn. Marcy Pride has been a calm strength as usual in her position of Library Coordinator. Her steadiness and reassurance has enabled the library staff to continue to provide the best service possible to our college "community" under the circumstances. That assurance we have, due to Marcy, enables us to model that for our patrons so they can feel assured as well--behavior is contagious! Grounds crew (LGC) Amazing people, who stayed on top of things. Tom Stanley did a great job of looking out for the employees as well as the students. Those individuals involved with keeping us informed about post-earthquake plans did a good job. We were not kept in the dark. Faculty members Patricia Parker and Lisa Murphy were absolutely amazing. Not only did they pack up their own offices, but they carefully packed up the records of the part-time instructors in boxes. Lisa Murphy helped the tutoring staff clean all of the tables in the Adjunct Office, and she came in on a Sunday to vacuum thick dust off of the floor! Dr. Bill Fiege and Dr. Deborah Brock worked long, long, hours to create a new class schedule for the Fredericksburg campus, and they did it with humor and good grace. They patiently answered faculty, staff, and student questions from early morning until late at night, before and after classes started post-earthquake. I was in awe of their amazing leadership. Garland, James, Jose, Forest, and Aubrey were wonderful, and I can't thank them enough for all of their help. They worked from morning until dusk hauling around furniture, and I never heard them utter one complaint. They tried their best to help absolutely everyone. Julie Mersiowsky immediately responded to the urgent need to provide Blackboard training for students and faculty, and over the course of three days, she Muneeb, and Forest worked 12 hour days to accommodate day and evening schedules. Patricia Parker worked about 25 hours a day helping prepare the College for online learning while coping with over 50 faculty in her department, some of whom reacted to the stress by becoming rather demanding. She even kept in touch and kept working during and after the hurricane, when her house lost power for a couple of days. Mike Kuchinski taught Wimba classes all day for two days. Jay Nyzowyj assisted him. Despite a lack of time to prepare, they did an outstanding job and kept a sense of humor, which helped lower everyone's stress levels. Bill Fiege and Deb Brock worked round the clock, assisted by Caroline Murray (and I think Lisa Smith and Carol Baetz, although I'm less sure about that) to get us all reorganized. They were unfailingly calm and courteous, although they must have been exhausted. They treated every person and every question as if they were all important. They must have been tempted to tell us to leave them alone, but they overcame that to manage the people as well as the schedule. Their leadership helped us have confidence that this would all work. Faculty who had lived in ther offices for years calmly boxed up tons of stuff and hauled it out, bought home-office furniture, and got back to work. When the class schedules needed to be rearranged after the earthquake, I had some doubts about being able to teach Beginning German in one three-hour stretch late at night. As I spoke with Dean Brock about this, she was very kind and supportive. She encouraged me to use whatever methods I thought best and to focus mainly on the goals of the course. “Be creative and extend the breaks if necessary,” she said. I was grateful for her trust in my work. And to my surprise, the students were wide awake and smiling as we ended our session late last night. I had kept Dean Brock's words in mind as I planned my lesson, which included optimal use of the superb audio-visual system available in Room 134. There was no need for extended breaks. Though Carol Baetz was extremely busy after the earthquake, she listened patiently to each person waiting in line in front of her desk. My request for an easel might have seemed insignificant to some, but Carol understood my need for one and took the time to locate an easel. She deserves a great deal of credit for all her efforts and patience. I've been continued to be impressed by the time and energy spent to manage everything after this unexpected emergency. Especially by Dr. Fiege and Barbara Taylor. Dr. Sam and Dr. Woodford and the Emergency Team kept the faculty and staff well informed. In addition, the centralization of the info was well organized to avoid mass confusion. Karen Mittura rearranged all nursing schedules without incidence. Those of us that have done scheduling before know the difficulty and scope of this service. Too many people to name. Carol Baetz, Caroline Murray, all of the folks in IT, the trainers for online teaching, and all of the volunteers who did a remarkable job of moving all of the equipment out of Dickinson to FAC2. Karen Mittura promptly updated the nursing schedule by asking for our advice and rescheduling the labs and class so well, that we made up for the missing time within 3 working days. It was so well organized that even the students responded without incident. The first day back we had been informed of the schedule update for the next 2 weeks, so we and the students, could plan. I think no one showed more organizational insight than Karen Mittura. She deserves much respect for her ability to solve problems in such a stressful crisis with grace and competence. Both Bill Fiege and Deb Brock have been incredible with all of the adjustments tha have been made for the success of our students. They are positive and bright and have the tremendous ablity to see the "big" picture. They also appear to be unified and work very well as a team, this gives a sense of strength to all that consider them to be role-models. Caroline Murray and Carol Baetz with their ability to help students and staff and still keep their pleasant and cordial manner. Mike Farris has displayed leadership and critical thinking skills that have aided the college well beyond his direct role of financial aid. Security, IT and facilities staff have all been awesome!!!!! All the faculty for their can-do attitudes. New teaching methods, news schedules, new courses, no office space, etc...thank you! ALL OF THE GREAT GCC STUDENTS!!!! They are really a reflection of GCC!!!! Dr. Bill Fiege and Dr. Deb Brock have been phenomenal. They have exuded an aura of calm that permeates the atmosphere of chaos in FAC 2. They have set the tone for the rest of us to follow. I have seen each of them in the hallways patiently talking to students, maintenance and security personnel, staff, and faculty; at all times their voices are calm and their mannerisms are placid and unhurried. They never act as if they are too busy to address my questions. Although they have hundreds of details to attend to, they treat me as though my questions and concerns are of high importance. Their behavior is what keeps despair and frustration from creeping in among us. Lisa Smith deserves commendation for the MANY hours she served working on the revised college class schedule. I appreciated all of the communication via the website and social media. The communication was accurate, efficient & timely. The IT staff have worked very hard to make the necessary changes after the earthquake, all while combating the usual spam threats. The administration has also seemed admirably calm and organized during a very chaotic situation. Buildings and Grounds staff. These guys were asked to "do it all" under very unusual circumstances--and they did! Creative solutions, hard work and positive attitudes worked for them throughout this disaster. Salutations to the B & G staff! Julie Mersiowsky has worked tirelessly since Aug. 23rd to provide instruction and support for faculty who have had little or no Blackboard experience as well as to those of us with experience. Donna Alexander provided any and all help that was asked of her, even if it didn't apply to her department. Mike Zitz for being the messenger of some not so popular decisions and for being tactful in his responses, wordings, and demeanor. ALL faculty members should be commended for their jump into action in preparing new timelines for their courses as well as changing formats in many cases. The people who put together the training sessions, spending 12 hours each day to make sure that the students and the faculty knew how to handle the change in formats. I believe that the administrative staff should be congratulated for their achievement in getting the school up and running after the loss of FAC1. Their hard work has paid off and I believe that all faculty members were impressed by their efforts. I don't know the names of everyone on the committee, but what a wonderful job by everyone. To have students back in class so soon is amazing. I am proud of how every one of Germanna’s employees have worked together. In my short time at GCC and especially during this time of crisis, I found everyone involved to be professional and dedicated to finding ways to bring the campus back to life. Both deans, the IT staff, and my department chair, Vanessa Sekinger were instrumental in making sure information was communicated in a timely manner. Blackboard training, though long and intense, was thorough and clear. Julie M. did a great job, was patient and calm during days of class time. Drs. Brock and Fiege: Calming Faculty, determining how to procede, communicating this information to faculty. Dr. Sam: For your kind explanation of events and our mechanisms for coping as a "family". For being in the trenches with us and for being at FAC2 on our Grand Re-Opening Day. TO WHOEVER HAD THE GREAT IDEA: The snacks provided on grand re-opening day were a wonderful idea. The black shirted hallway monitors were wonderful and most appreciated by our student body. To PAM Frederick: For her quiet ways that always bring out the best in all of us. Garland Fenwick- maintaining order during extremely tense following few days. Wow, this is hard because so many people went above and beyond. But I certainly hope that all of the Dean's are recognized for holding everything together while pulling together a new plan. Doctor Sam- positive, organized and handled all the issues extremely well. Patricia Parker has been a leader in the math department through big changes in program, administration, and class organization. But, her leadership during this additional challenge has been above her required duties and has ensured that our students are still going to get what they need. She has made sure dev and credit instructors were informed of changes and details as soon as possible. She has made arrangements by email, phone, and face to face to be available to help any of us get up to speed on necessary technology changes. She has calmed the anxieties (which were varied in intensity and subject) from all instructors and students. And, she creates an environment where we all feel like community members working in partnership towards our group goal. We were very lucky that she was well in place when she was needed so much. I have told several friends and family members that I am happy to work at an institution at which I know our leadership really cares about the well-being of the employees and students. I felt secure that my classes would stay available, and that my students would not be let down. I am grateful to Dr. Sam, the deans, and all the other administrators and assistants who put in long hours to make FAC-2 work as best it could for everyone. I know Julie Mersiowsky did a LOT of work to set up all of the training sessions, etc., with very little notice provided. And she did an excellent job!! The maintenance department (especially Garland and Chris Cooper). To say how busy they have been would be an understatement, but they still made the time to communicate and stop to answer questions for individuals. Patricia Parker - excellent communication with our department throughout the "quake break"
Bill Fiege and Deborah Brock rewriting the schedule very quickly. Allie Paterson volunteering to help instruction staff with setting up the new schedule. Counseling staff for rescheduling students. The black shirt volunteers helping students find their way. I admire the efforts of the Bill Fiege, Deb Brock and all of the administration to get the students back to school. This was such an unusual event and the administration reacted quickly to make the needed decisions to get the college back on schedule. Thank you to Forrest, who conducted the student blackboard training sessions. He helped students feel less nervous about the online and hybrid formats, gave them information, and made them feel confident. Deb Brock and Bill Fiege -- both have worked triple overtime to completely re-haul the schedule, fitting two full buildings of classes and students into the single, smaller of the buildings. They worked out conflicts and resolved all sorts of scheduling mishaps. Sarah Somerville: As an adjunct, I appreciated the time the Dr. Somerville to keep us up to date. She always makes sure that we get all the information. The Emergency Leadership Team: The degree to which decisions were made successfully and with care for all those involved is impressive. Many positive comments have been shared among and between colleagues with regard to the quality of the decisions, especially when there were so many to be made in such a short time. Most of all, I appreciated the efforts to ensure safety for all students, faculty, and staff immediately following the earthquake and in the days to follow. The degree and quality of communication with all constituencies was also noted positively. The patience and good humor of those more directly involved in all the work to be completed in the near term has been appreciated, and particularly because we know that you were weary from the work and the weight of the decisions to be made. While the tasks to be completed constituted an impressive list, this core group has done an exemplary job of making decisions and communicating them effectively while guarding the safety of the college community. We couldn't have hoped for more. Garland Fenwick - Garland has been on site, answering questions and having a good word for everyone, including students. On more than one occasion I've seen him ask a student if they needed something or if everything was okay. Garland seems to live the mission of a learning centered, student centric college. All of this while trying to accomplish a virtually impossible task. The team responsible for re-working everything - outstanding. Caroline Murray- Assisting with schedule development all week AND over weekend when changes were made. Lisa Smith- Assisting with schedule development and offering help for any work required. Debbie Brock- Worked tirelessly to continue instruction with minimal "damage" to the student. Faculty with Schedule Changes- Too many to name individually but I heard no complaint for going online, hyrbid, or having significant time change. They all took their "orders" and got the job done! Shashuna Gray- Assisted with re-design of schedule the day after eartquake and worked with science faculty to modify all science courses to hybrid modality. Facilities- All around OUTSTANDING work! As I work on this, I realize I could go on and on. The attitudes of all involved have been exemplary, and I cannot recall an instance of people being insubordinate. The actions of our President, David Sam have been exceptional. Keeping communications open and informative. I firmly believe that he is here for a reason at the right time and this is based on his previous experiences. Thank you Dr. Sam. The leadership team and their efforts to keep the impact on learning to a minimum. Everyone, and I don't know who they are, who was called to work through the mess that this event has created. Garland Fenwick and all of his staff - too many actions to list. Garland Fenwick and Jacque Larsen helped lead efforts to relocate offices and classrooms from damaged areas to areas identified in the Workforce and Technology Building. Daniel Buhrman worked tirelessly to ensure equipment connected to our computer networks and relaxed security, where possible, to ease burdens on users as they adapted to their new environment. Martha O'Keefe and Jeanne Wesley worked diligently to find off-campus space to house various academic programs of the College knowing that their programs and offices would likely also be relocated but placing a higher priority on other programs and services first. Bill Fiege and Deb Brock played a very significant role by completely revising classroom schedules and locations for the Fredericksburg area within a day and a half and helped identify computer and power needs for spaces, which then allowed Facilities and IT to begin physically relocating courses and programs. Garland Fenwick for getting as much out of the building as he can while protecting his staff from harm. Pam Frederick and all of student services for moving student services into cramped spaces but still making it work for the students: Win Stevens, Mark Haines, Maria Holley, Ann Lyons; the entire division. Julie Mersiowsky for turning an 8 week on-line training into a three hour training, cheerfully, and with humor getting all the faculty and students trained. The faculty for cheerfully moving out of their offices, and out of their comfort zones, into on-line learning because it is what the students need. The part time faculty for changing their syllabi, going on-line, getting trained, with few complaints, because it is what the students need. Carol Baetz and Caroline Murray for answering endless questions from students and faculty. Barbara Taylor for answering student and faculty questions into the wee hours of the morning, without once saying: "It was in paragraph three of the email!" Mike Zitz for working with the media to get our message out and for sitting on Facebook late into the evening. Dr. Sam for trusting all of us to do the right thing. Not micromanaging us but backing us up when we needed it. I think that our deans did a terrific job of making the best of a bad situation. Many faculty members also stepped up and assisted with training sessions. Mike Kuchinski gave sessions on Wimba all day long, which was going above and beyond the call of duty. Patricia Parker did a marvelous job of keeping the math dept. informed. These are just 2 examples with which I am familiar, I know there are many more. Dr. Deborah Brock and Dr. William Fiege for their exemplary leadership throughout this situation. They had a plan and made use of all the College's instructional resources in order to continue to provide quality education to GCC's students. Dr. David Sam for his role in guiding us through this process. And also for his foresight in recommending the purchase of iPads for our faculty and administrators! This greatly enhanced our ability to communicate for the first few days without access to laptops and desktop computers. Jacque Larsen and all of the IT staff for their tireless efforts to retrieve IT equipment from FAC1 and making sure operations and communication could continue. All of the Facilities and Grounds staff who have worked hard to set up makeshift offices, classrooms and instructional support areas. The FAC Security staff who have kept us safe! Chris Anderson has really responded to the challenge of being head of security during a crisis. He would normally be second in charge, but he really stepped to meet the need. With all of the personal items that were left in FAC1, there was potential for problems. He coordinated the recovery efforts very well. Julie M. was fabulously organized and went above and beyond with her response with training options. Bill Fiege's attitude of helpfulness and consideration for the students' needs was (as always) inspiring. Cathy, the security officer, was very encouraging and polite when I came back to retrieve my personal belonging. Barbara Hall showed exemplary service to the Germanna staff, work study students and faculty when she came into the Locust Grove Campus when the college was closed to make sure that everyone was paid correctly. This took a lot of time and hard work but she did it because she knew that people needed to get paid. She showed real dedication to Germanna. Kudos to the Emergency Management Team. Cathy Ryschon - she moved about the parking lot hurriedly to keep everyone informed and safe. She encouraged everyone to provide a ride for others who may not have had one and encouraged those who had cell phones to share with others. Ryschon also evacuated FAC1 in an orderly and timely manner on that day. Security staff for conducting escorts in a orderly and efficient manner. The day of the earthquake, I was training with Lynn Lineberger and Terri Givler. When FAC1 began to shake, both ladies calmly took charge of the situation and instructed those in their area to immediately evacuate. Lynn and Terri's calm demeanor helped others to evacuate in an orderly fashion. The entire Maintenance crew did a great job getting everyone out of the building and then very carefully letting folks back in a few at a time to get their belongings. Security was also a big help. Aubrey Collier. Minutes after the earthquake Aubrey was notified by Michelle Norton that she had let 3 hot plates on in the lab and that each hot plate had a different chemical in it and if they were to mix the chemicals could become volitale. Aubrey immediately went back into the FAC 1 building and found the hot plates with the items boiling and got them turned off. Chris Cooper. Stayed on the job until 2am Wednesday morning evaluating the damage of GCC facilities. James Haynes. Assisted in the removing a handicap student from the facility. Forrest Donald. Went to DTC and LGC to do early evaluations of damage to the facilities. Tom Stanley. Immediately started correcting damage areas of the LGC building so classes could go back into session ASAP. Security staff for conducting escorts in a orderly and efficient mannner. Patricia Parker-thorough information was given to all developmental math teachers and even personal phone calls were given to help relieve the stress...she went above and beyond in my opinion. Sara Somerville was firm and progressive -- got everyone in our area outside promptly! Mark Haines was key in helping to evacuate students from FAC 1. Mark along with James Haynes aided a wheel chair student safely off of the 3rd floor and out of the bldg. Cathy Ryschon from security was very level headed and helpful with all that was needed during and post the earthquake. Cathy is always concerned about the needs of the students and the college. She always approaches any situation with a positive manner. She is a pleasure to have as a co-worker. Bill Fiege going all over the parking lot making sure people were okay. The people (Mark Haines and James Haynes) who carried the lady in the wheelchair down. The ACC staff at LGC had the wisdom to order the students out of room 204 and into room 203 and under desks to remove them from the danger of the HVAC falling in room 204. All students complied and came into 203, proceeded to get under desk and remain relatively calm until we were told to evacuate at which point the staff directed the students to the closest exit. Both of these individuals went back into the building to assist the student who is constrained in a wheelchair. Kathy Ryschon- Security Guard who went back into the building to assist in evacuation. Ann Alizio in Admissions and Records who made sure counseling center was being evacuated. Carol Baetz from Instruction who made sure everyone stayed away from the building. I'm Ron Williams the Project Inspector of the New Academic Service Building for GCC. I was on the 3rd floor as the building started to move I yelled to all workers on that floor to leave and went to the roof to make all those workers leave the building. Todd Cooksey, Donley's Superintendent was on the 1st floor and he had all workers to leave and went to the second floor and had them leave. We all meet at the construction trailer and took a head count and all workers were down and safe. The job was closed at that point. Debbie Bunch. Debbie owns and runs the food service at LGC. She calmly shepherded students and personnel in her area out to safety. As she isn't a GCC employee, I thought her actions rather selfless and exemplary. Security at DTC campus. When I phoned to clarify the first email indicating classes were cancelled the evening of the earthquake, the security person answered the phone and provided me the information I needed. All safety monitors that helped move students out of the building to a safe location. Garland Fenwick and Aubrey in their courageous initiatives. Mark Haines rushing to the help of a full quadriplegic Courtney Dole. Wow- where to start? I do not know his name- but the man directing traffic away from the campus around 3 pm was helpful and polite. Those getting the word out did a great job. I do not know names of people in FACI at the time, but numerous students have commented how calm, professional and helpful people were. All of security - They made sure that the buildings were emptied and they prevented re-entry of the building until they knew that it was safe to do so. Tina Parker - She worked with a security guard on directing traffic leaving the parking lot when she didn't have to do so. James Cassese - He went to 7-Eleven and got water for employees and students an hour or so after the earthquake occurred. Many people needed water at this point in time. Stuart Smith: He stood for at least 90 minutes at the curb of FAC1 helping to keep folks from moving any closer to the building, explaining to them why they needed to move back to the light pole in the parking lot. Deb Brock and Bill Fiege: Patiently, calmly, and kindly moving throughout the parking lot to groups of people trying to determine who was without a ride home, organizing how those folks might be able to get home. Never would leave the grounds until everyone was taken care of. Nancy Noel: moved around the parking lot getting students to move back to the first light pole explaining why they needed to be that far back, calming them down and assuring them that if we were closed tomorrow that they would be contacted via email, notified on the home page, and probably on tv. Cathy Ryschon: WOW!!!!! She kept her cool when people were getting upset that they couldn't get back in the building to retrieve personal effects and car keys. She worked the students, the traffic out of the campus parking lot, and all the while kept people calm, explaining why things were being done the way they were! She gets GOLD STARS!!!! I was not on campus during the earthquake. However, I felt that Dean Fiege did an excellent job of communicating via e-mail, and more importantly to me, was terrific about responding to questions and other issues. Sarah Somerville taking charge of getting students out of the building. Pam Frederick helping retrieve car keys for the student who had a dog locked in her car. Right after the earthquake, James (on the maintenance staff) was walking the hallways of FAC 1 on the second floor checking on each of the classrooms and helping students get out of the building. It was very chaotic and he was taking charge of the situation to make sure that people got out of the building safely. He also helped one of the students in a wheelchair. Thank you to the Security Staff who got everyone safely out of the buildings! PT faculty member Nilo Burke held door for students next to a visibly damaged wall and staircase, and offered rides home to 2 faculty/staff whose keys were left inside the building. Carol Baetz and James Haynes did an outstanding job firmly, but kindly, getting and keeping everyone out of and away from the building. Tom Stanley. He was the first -- from our view on the ground -- to actually walk across the top of the Locust Grove building to inspect. That job could have been extremely dangerous! Debbie Bunch, operator of the food services facility at the Locust Grove Campus showed exemplary service to Germanna at the onset, through the duration of, and in the aftermath of the earthquake. Debbie knew what was happening and she immediately came out of the kitchen ushering all the students out of the building and into the parking lot - ensuring they were not in an erosion zone and thus in further danger in being outside. She was sure to make the students and faculty move to the parking lot, away from the building and the grounds, recognizing the risks involved with shifting earth. I witnessed others moving students to areas substantially less safe and remaining outside next to the building, but Debbie took her endeavor much further and employed an authoritative tone that generated the necessary response from those confused and uncertain regarding what to do. When the quake ended she re-entered the building to look for students in interior classrooms near the student lounge for the purpose of gathering them to go into the parking lot and await further instructions from the school. At no time did she hesitate and her concern was clearly for welfare of the students above herself. Though not technically a Germanna employee, her actions were indicative of those that we would hope all faculty and staff would have when the safety of our students are concerned. I feel compelled to make this point not only because Debbie's actions were certainly exemplary, but because she knew what had occurred, she knew the inherent risks, and despite this went back into the building look for students and make sure everyone was safe. While I was with Debbie while she did this (I was concerned for her safety as well as that of the students, but it was her initiative that I followed, admittedly), I witnessed other faculty members stood by doors yelling for students, faculty, and staff to leave the building. Certainly this is not a fault on the part of those faculty and staff members who did not actively go to look for students trapped inside or hiding inside due to fear - this is simply what happened and how events played out on that terrible afternoon. Debbie showed phenomenal emotional strength and personal character in her concern for the students first and foremost. Debbie Bunch was truly fearless in the face of danger and while I did insist on accompanying her back into the building, it was she who immediately responded and acted solely with concern for the welfare of Germanna's students, faculty and staff. Her actions were truly those of a hero, and fortunately no one was injured at LGC, but I have no doubt that if Debbie had found an injured or panic stricken individual she would have gotten them to safety - for I did not see anyone else go about physically looking for students in need aside from Debbie that day. I was not present the day of the earthquake; however, I did hear how faculty and staff blocked off the building and strongly insisted no one could re-enter. I felt they were being very protective of students and colleagues and showing a great deal of compassion for their safety. Lisa Smith: Her calm efficiency as she handled the crisis. Bill Fiege - He was calm and collected throughout the evacuation, guided students, make some very good managerial decisions and generally ran around the parking lot twenty times to check one everyone - students, staff and faculty. Chris Anderson- Handled situation beautifully at FAC. In charge, clear, confident! Mark Haines- Assisting with student in wheel chair. Matt Chambers- Getting water for folks at FAC late in the day. Miguel Lechuga- Assisting with traffic. Carol Baetz- Assisting with traffic. Dean Gilkey filtered among the faculty, staff and students to ensure that phone access was available so that contact with loved ones was attempted. Phones were shared with others who did not have coverage with their service, there is no one person who did this as several, including myself gave their phones to others in need. Dr. Sam; he was in a press conference with Senator Warner at the Library of Congress and he left immediately to the Daniel Center to determine the extent of the damage and what our response should be. In short, he took charge. The guards were great. They made sure everyone exited in an orderly fashion and they were not afraid to go back into the building to get people out. I think students should get credit, too, for acting (mostly) in a calm, orderly manner. I did not see any pushing or shoving. Mark Haines and James Haynes deserve credit for assisting the wheelchair-bound student down the stairs and to safety. Many people offered to take others home since many of us left our keys and belongings in the building. As everyone else was looking confused and lacking direction, someone had the good sense to pull the fire alarm to start the evacuation of FAC1. I don't know who it was, but it was a great idea. Good to see VP Rick Brehm and VP Jeanne Wesley rolling up their sleeves and working side by side with employees. Mr. Rick Brehm and Mr. Garland Fenwick was so helpful. They checked the hallways and made me feel very secure. I appreciate their quick response to the earthquake and the way they anticipated our anxiety. We were quickly informed about the magnitude of the earthquake, where the center was, and the expectations required for faculty and students. We were allowed to leave in a timely manner in order to check on our families, of which mine was located within 8 miles of the epicenter of the quake. I was in the Tutoring Center at the time, acting more like a deer caught in the headlights than anything else. Nicki Mahon, a new hire in Tutoring, spoke with authority and urged everyone to leave the building calmly, but immediately. She instructed people to take purses, but not take time to gather books and papers. That got us moving in an orderly fashion toward the door. Germanna Community College was recognized when e.Republic’s Center for Digital Education and Converge Online announced today the winners in the seventh annual Digital Community Colleges Survey. The survey documents advances made by community colleges in utilizing information technology and recognizes which colleges are providing a high level of service to their faculty, students, and communities as a result. The survey looked at technology integration into college curriculum and campus life, documenting use of online admissions processes, distance education, technology training for students and faculty, campus security alerts, use of Web 2.0 social and collaborative capabilities as well as online tutoring and advisory services. Use of mobile devices was also a key indicator of success. "We pride ourselves on staying on the cutting edge of educational technology," Germanna President David A. Sam said. "We must do so in order to better serve our students’ communities. Further, as our enrollment continues to grow and our resources shrink, technology can help us be more efficient in the use of those resources. "Our use of technology in our response to the recent earthquake makes this recognition even more meaningful,” he said. “Our stellar Distance Learning program, and our increasingly technology adept faculty and staff were able to serve our students with minimal disruption even after the loss of one-third of our classrooms. We quickly, seamlessly and relatively painlessly accommodated a move of 4,400 students and 321 classes made necessary by quake damage to one of our buildings. It was quite a test of our ability to use technology by increasing the number of online and hybrid classes in a matter of days, by allowing students to change classes online and by keeping students informed via text messages and social media. I'm proud to say Germanna passed that test." Germanna tied for 4th place with Laramie (Wy.) County Community College and Lord Fairfax Community College in Warrenton in the Mid-Sized Colleges Category – those with from 5,000 to 10,000 students. GCC has about 7,600 credit students and about 3,000 non-credit students. Germanna Community College President David A. Sam turned the first hour of Fall Learning Day, a college-wide training event for several hundred employees held today at the Daniel Center in Culpeper, into a celebration. Dr. Sam praised college staff, faculty, administrators and volunteers for their hard work into evenings and over weekends, and for what he described as their ability to adapt, their can-do mindset and their amiable nature under stress. “Some of these folks worked 12-, 14-, 16-hour days,” Dr. Sam said. The quake struck on Aug. 23, causing damage to the Fredericksburg Area Campus Dickinson Building, Germanna’s largest, leaving it structurally unsound and out of commission for a year. No other building at the college’s other locations in Massaponax, Locust Grove, Culpeper and Stafford were significantly affected by the quake. But the entire college was closed to avoid confusion due to the need to move 4,400 students and 321 classes through creative scheduling in time for a Sept. 6 re-opening. Virginia Community College System Chancellor Dr. Glenn DuBois climbed up on the Daniel Center stage, then took off his suit jacket, tie, and crisp, white dress shirt to reveal a blue “Germanna Quake Break ‘11” t-shirt. “I really came to give you a shout out because I was so impressed with the minimal disruption to the students, how the community stepped up and you all just stayed on your game,” Dr. DuBois said. At right: Structural damage to GCC's Dickinson Building. Elevators were damaged and Courtney Dole, a paraplegic student in a wheel chair was stuck on the third floor, with aftershocks to come. As others fled Germanna's Dickinson Building, which was damaged in the Aug. 23 earthquake, Fredericksburg Area Campus Coordinator of Counseling Mark Haines and staffer James Haynes rushed up three flights of stairs, not sure what was going to happen. The Dickinson Building is out of commission for about a year. Classes were moved to another building on the Fredericksurg Campus, and they resumed Sept. 6. Other GCC locations were unaffected. Middle College students return to Germanna Friday, Sept. 23. Germanna Community College Middle College classes will resume on Fridays from 9 a.m. to 3:30 p.m., beginning this Friday, Sept. 23, at Fredericksburg Area Campus Building Workforce and Technology Building (FAC 2), in room 232 until further notice. Classes had been suspended due to earthquake damage to another building on the Fredericksburg Campus. This is a short-term solution, according to GCC Middle College Director Carolyn Bynum, until a new location is established. College officials continue to work on securing that location. "In the interim, holding an all-day class on Fridays is a way to keep our current students engaged in their coursework and to keep them on track towards their goals," Bynum said. "We have been working on identifying online resources to supplement the in-class instruction so that even while students are away from campus they can continue to work on GED prep, career exploration and college coursework. "The students are excited to get back to class after over a month-long hiatus," Bynum said. Most other students returned on Sept. 6. "They have been very patient through this whole process, but they're ready to get back on track," Bynum said. Middle College help prepare students to get their GEDs and enter Germanna or another college's degree program. G.I. Jobs, a magazine for military personnel making the transition to civilian life, has named Germanna Community College to its 2012 Military Friendly School list. The list honors the top 20 percent of American colleges doing the most to embrace both active military service members and veterans as students. Nearly 300 Germanna students took advantage of G.I. Bill benefits this summer, according to Dianne Frausto, GCC’s Veterans Affairs Representative, including some military dependents. The number is not available yet for the Fall semester. “Many of the military personnel stationed at Quantico Marine Corps Base, Fort A.P. Hill and the Dahlgren Naval Surface Warfare Center and their families live in our area,” said Germanna President David A. Sam. “ Many more commute to the Pentagon and Fort Belvoir. Some have chosen to make the area their home after retiring from the military. The criteria set by the magazine include efforts to recruit and retain active military and veteran students and success in recruiting and retaining military and veteran students. Germanna has a Veterans Affairs office, a Veterans Club, a counselor whose duties include assisting veterans, and a Web page. GCC also works closely with Wounded Warrior, a peer support organization that provides assistance to veterans as they make the adjustment to civilian life. In its effort to help veterans choose the right college, G.I. Jobs conducted a first-ever survey of student veterans. According to the magazine, the 1,518 colleges, universities and trade schools on this year's list place high importance on the recruitment of students with military experience. The 2012 list of Military Friendly Schools was selected from than 8,000 schools nationwide. G.I. Jobs magazine is published by Victory Media, a veteran-owned business headquartered in Pittsburgh, Pa. Check out Germanna's clubs--or start one yourself at the GCC Club Carnival. Free Bruster's ice cream will be served! At the Fredericksburg Area Campus: Tuesday, Sept. 20th, 11am-2pm. Tables will be set up outside the main entrance of FAC2. 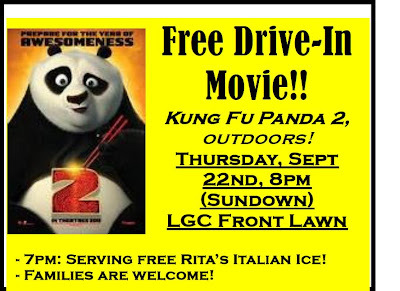 At the Locust Grove Campus: Thursday, Sept. 22nd, 630 p.m. to 7:30 p.m. (Shortly before the 8 p.m. "Kung Fu Panda 2" Drive-In movie event on the lawn). 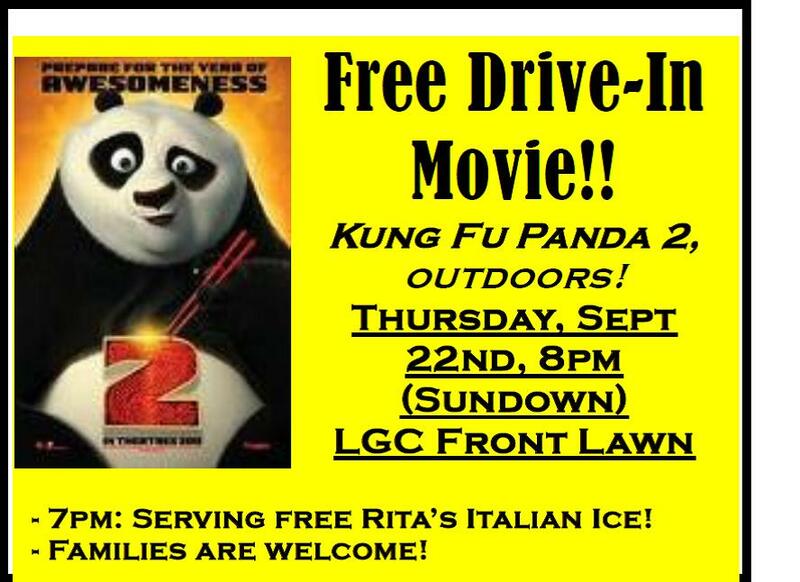 See 'Kung Fu Panda 2' fre Thursday, Sept. 22 at the Germanna Community College "Drive-In"
Students and their families are invited to a free GCC "Drive In" movie showing of "Kung Fu Panda 2" on the front lawn of the Locust Grove Campus at 8 p.m. on Thursday, Sept. 22. There will be free Rita's Italian Ice starting at 7 p.m.
Congratulations to the team from J.F. Fick Inc, which won the Germanna Educational Foundation's 6th Annual Ray Glazebrook Memorial Golf tournament at Cannon Ridge Golf Club. The victorious foursome consisted of John Fick, Preston Cox, P.J. Cox and Carl Shade. Taking second place was Pelham Court Motors, which consisted of Eddie Tolson, Eddie Bennett, Taylor Bennett and Richard Stapleton. The event raised a preliminary total of over $25,000 for the GCC Educational Foundation, Executive Director Mike Catell said. Nursing and dental hygiene students resumed classes at Germanna Community College yesterday as deans finalized plans for the rest of the students whose classes were disrupted by an earthquake on the second day of the fall semester. The challenge has been finding a way to continue instruction for the 4,400 people who registered for classes at the V. Earl Dickinson Building on the Fredericksburg Area Campus. That structure, built in 1997, suffered significant damage from the magnitude-5.8 earthquake on Aug. 23 centered in Louisa County. The building won't be available for use until January at the earliest. The goal has been to find a way to keep those students on campus this fall in the Massaponax area of Spotsylvania County, said Deborah Brock, dean of arts and sciences, and Bill Fiege, dean of technical and professional studies. College spokesman Mike Zitz said many in the community responded to a request for space but, with a few exceptions, Germanna officials have chosen not to move classes. Instead, the deans said Germanna has relocated some of the 321 classes scheduled for Dickinson into the Workforce and Community Education Building on the same campus. Many classes were restructured. Forty will be taught totally online. Others will be a mix of online and classroom, while the rest will be in different classrooms. Fewer than five classes had to be canceled. The college is adding a few 10-week courses to meet the needs of students who couldn't take their classes after they were rescheduled. Those courses will begin Sept. 28, have longer meeting times, and end at the same time as regular 15-week semester classes, Fiege said. They will meet at the Locust Grove Campus and on the Stafford campus of the University of Mary Washington, Zitz said. Students started the fall semester on Aug. 22. Classes were in session when the earthquake began shortly before 2 p.m. last Tuesday. Germanna President David Sam canceled classes indefinitely immediately after the earthquake so that structures at all campuses could be inspected. Germanna offers classes in its own buildings in Culpeper, Orange and Spotsylvania counties. It also holds classes in office space in North Stafford. Germanna Community College officials have been working over the past week to accommodate students enrolled for classes at the Fredericksburg Area Campus, whose chief academic building was significantly damaged in the magnitude-5.8 earthquake. Only the Dickinson building has significant structural damage. Though nursing and dental hygiene students returned to class yesterday at the Locust Grove Campus in Orange, students at all other sites will resume Sept. 6. Germanna may lease space for noncredit classes and personnel being displaced from the Workforce building. The Fredericksburg Area Campus lost 22 classrooms, its six science labs and two computer labs with the closing of the Dickinson building. The Workforce building has 18 classrooms and two computer labs. College officials are optimistic that even students who have shied away from online courses will find they like that option. "We think some may be glad they have had the opportunity," Brock said. Fiege cited a study that found 30 percent of college students have taken at least one online course. He also said that with today's technology, online learning can be very interactive. He noted that faculty--many of whom now have iPads--can respond quickly, utilize online chats to communicate, and can rapidly post announcements using the college's electronic blackboard. "It's very user-friendly," Fiege said. Germanna Community College officials have been working over the past week to accommodate students enrolled for classes at the Fredericksburg Area Campus, whose chief academic building was significantly damaged in the magnitude-5.8 earthquake on Aug. 23.